Named in the top 25 hotels in Europe and third-best in the UK at the TripAdvisor 2019 Travellers’ Choice Award, La Place Hotel has greatly benefited from extensive refurbishments during recent years. The lovely communal areas are centred around a 17th century Jersey country house and the exposed granite stones are a charming reminder of its former status as a traditional Jersey home. The hotel is now a peaceful country haven to be enjoyed by guests in search of a little bit of everything: a quiet countryside atmosphere, an outdoor swimming pool and terrace, and easy access to the island's south coast. Holidays for La Place Hotel for 2019 are currently only available to book by phone. Please call us on 01534 496 650 for assistance. 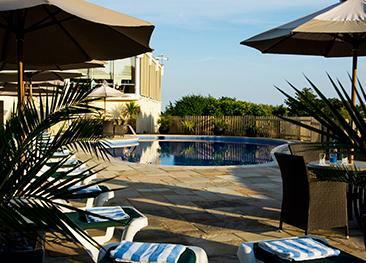 La Place hotel features classic, superior, deluxe rooms and poolside private terrace rooms. All guest rooms are en-suite and equipped with bath and shower, direct-dial telephone, hairdryer, bathrobes, slippers, tea & coffee tray, safe, fridge, iron and ironing board. Views are of either the hotel swimming pool or the surrounding countryside. Poolside rooms are decorated in light pastel shades and feature direct access to private patios and the hotel's swimming pool. Superior rooms offer extra luxury and comfort. Deluxe rooms are very large with a seating area and have both bath and shower. 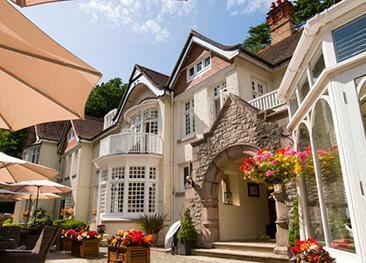 The Retreat Restaurant prides itself on serving fine Jersey produce in a relaxed environment. Staff will be happy to make recommendations and to suggest wine pairings. Adjacent to the swimming pool, the Retreat Bar is open all day. Enjoy a coffee, a bar snack or perhaps a pre dinner drink or cocktail. La Place Hotel does not have wheelchair access. Please note that the restaurant and the guest rooms are reached by stairs. 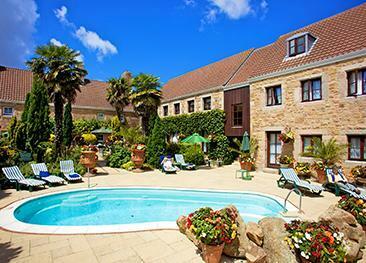 La Place Hotel is in the south west of the island and sits surrounded by farmed fields in a quiet position. The beach and St Aubin’s delightful harbour are 5 minutes away by car. A lovely relaxing hotel and beautiful room. this is a lovely hotel, well presented throughout with light well furnished bedrooms and bathrooms. The food is of a good standard and unpretentious. A beautiful hotel with the most attentive staff, nothing was ever a problem & the food was excellent. Excellent hotel with good service and very up to date rooms and especially the bathrooms, if not a little expensive. Newly and tastefully refurbished hotel with luxury-level finishes and excellent service and food etc.